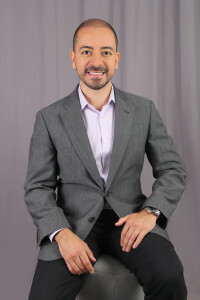 George Otte, Miami entrepreneur with more than a decade of multi-faceted business operations experience. He is the founder and chairman of the Otte Polo Group, a diversified firm that does business internationally. Entrepreneurship runs in Otte’s blood. He founded his first company, a South Florida computer repair and support service called TSS, in 2002 — when he was just 21 years old. He successfully ran TSS while enrolled in college full-time, building a network of more than 100 clients by 2005. Otte took the next step in his entrepreneurial journey with the acquisition of Geeks on Site, a comprehensive technical support company, in 2006. Throughout the late 2000s, George Otte built Geeks on Site into a premier coast-to-coast provider of on-site tech support, remote computer repair, and other value-added technology services. Geeks on Site now works with local technicians in more than 150 US metro areas. As Otte’s business grew, he recognized the need to integrate superior customer service with flexible, on-demand product fulfillment. Staying true to his vision, he launched Responsive Call Center, a geographically diverse call center and telephone answering service that provides a range of live call center and answering solutions for clients in healthcare, legal, property management, general contracting and other industries. Responsive Call Center now has a network of six independent answering businesses operating six different facilities throughout the U.S. and Latin America. As he pursues his vision of building Responsive Call Center into the United States’ top privately held call center and telephone answering service company, Otte continues to look for acquisition opportunities throughout the country. Shortly after Responsive Call Center was established, George Otte turned his attention to product fulfillment and acquired Fort Myers-based Phase V, a fulfillment and shipping operations center with a diversified portfolio of customers, including work which dates back to the early 1980s. George Otte was born in the Lima, Peru area. He moved to Florida with his family at age seven and enjoyed what he calls a “fairly typical American childhood.” Though he has some distant relations in Peru, Florida is home to Otte’s immediate family, business and social networks — and Otte himself. Although he devotes the vast majority of his time to overseeing his successful business ventures, Otte does find some time to relax. His hobbies include boating and fishing in the waters off Miami, spending time at the gym, and traveling to out-of-the-way destinations in Europe and Latin America. Your car gets you from Point A to Point B. Your computer puts a world of information at your fingertips. At first glance, the two couldn’t be more different. Your car is mobile, while your desktop computer is stationary and your laptop only goes where you carry it. Yet your computer and your car have more in common than you realize. Both require regular care and maintenance to remain in good working order. If used improperly or left to languish for too long, both can fail before their time. Every car owner has a basic understanding of their vehicle’s maintenance needs, even if they don’t feel comfortable getting under the hood themselves. Every computer user deserves to have the same basic breadth of knowledge about maintaining their machine, even if they don’t know a circuit board from a CPU. With that in mind, let’s take a look at seven straightforward computer maintenance tips and tasks that can extend your computer’s lifespan and improve its performance for years to come. How to prevent information from falling into the wrong hands online. When every week brings fresh news of big-time data breaches and targeted cyberattacks, it’s tempting to assume that there’s nothing you can do to keep your most intimate details safe from people who want to do you harm. Fortunately, the truth is a bit rosier. While there’s no way to guarantee safety and security on the digital web, it’s absolutely possible to reduce your risk. One of the most effective forms of protection—one that’s surprisingly, not very well known—is a virtual private network, or VPN. While it’s not a cure-all (nothing is), a VPN can significantly improve your security as you browse the internet, especially if you’re downloading files, streaming video, accessing websites banned by your employer or local government, or simply trying to have a private conversation without strangers listening in. How Vulnerable Is Your Home Network, Really?